Posted on 31/01/2013 by the curtain raiser •	This entry was posted in A to Z April Blogging Challenge, Australia, Blogging and Writing and tagged a to z april blogging challenge, Blogger, blogging, blogging challenges, fun blogging challenge, WordPress, Writing. Bookmark the permalink. Happy New Year! I was thinking of you yesterday and *bam* here you are back in full gear. This challenge is how we met, so of course it’s close to my heart. I look forward to seeing what you do this year…perhaps I’ll join you. Glad to know you are enjoying your Summer! I’d love it if you join me Lisa, you’d totally nail it. I am very grateful we met. Here I am and there you are, writing up a storm! It is pretty scary but the trick (which I didn’t appreciate last year) is to plan ahead, so you have your blog posts pretty much written before the challenge starts. You can then ficu on the networking and visiting. Not sure yet if I will rise to that challenge! 😉 But thanks for the heads-up! You’d be great! But whatever you decie, hope you’ll come along for the ride as a reader. Well, you would think that the Rocky Horror reference would be enough encouragement for me to join the Challenge 😉 … hum will give it serious thought! I think I am in between study periods during most of April. It’s a great way to break in a new blog. After the Challenge is done, you end up with a wonderful block of content. Hope you do participate :). Enjoying summer is far better than blogging. I’m glad you’re okay. Let’s add one more: you learn about things you might not have learned otherwise. Thanks John, hope all is well in your world too. Yep, let’s add one more – looking forward to sharing the A – Z journey with you. 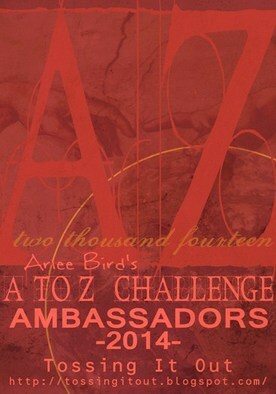 With friends like you how can the A to Z Challenge not be a big success. Thanks for a great post which I will link to on my next Monday post on the A to Z Blog. Thanks Lee. I will never forget the kindness you showed me at the start and during the Challenge last year. To a novice blogger any amount of positive attention and constructive advice is a godsend. Thank you and thanks for the proposed link. It’s time for me to pay it forward. No problem, Damyanti. Thanks for the tweet and for swinging by. 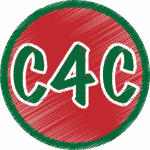 Will stop by and visit your blog ahead of the Challenge. Some of my friends did it last year and they looked like they had fun. This will be my first year participating. Good luck, I’m sure you’ll have a wonderful experience. I participated last year and loved every single word of it (and letter …. except for maybe the U, X and Z!) It was a lot of fun and will blog again this year with A to Z. No posts written and ready yet, but I have my list of words I’ll use, which is a help. Thanks for coming by and saying hello, Trisha. I hope you enjoy it again this year, I’m really looking forward to it. Will swing on by your blog when the Challenge is on. Great post! I had to share it. I’m a first timer to the challenge and to blogging, but what better way to just start back into writing! btw- love the name Raising the Curtain and the tagline! See you around! Thanks for the share. It is a great way to kick start a return to writing. Will drop by and see you during the Challenge. Hi! I came across your blog from a the A to Z website. 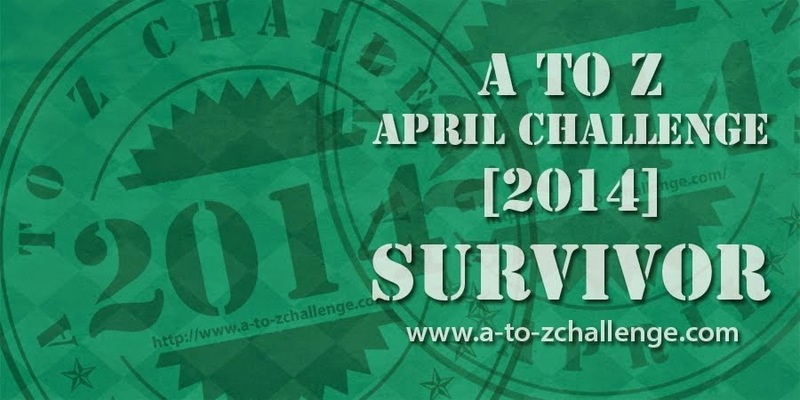 This is my second year taking part in the challenge. Last year I had no theme and did not finish. this year I entered two blogs. Living Loving and Learning will have a theme where I write about a phobia- bad thing is there are no phobias with two of the letters… the other blog Stephanie M. Pawley- not sure what the theme will be. Looking forward to reading your posts. Hi Stephanie, thanks for swinging by. Now you have me intrigued, which of the two letters have no phobias? Good luck with the Challenge x 2, I’ll look forward to reading your Challenge posts. Love your background! Noticed you checked me out, so I thought I would wander over. 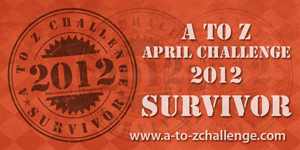 The A to Z Challenge sounds like quite the workout – maybe just the thing I need to get me back on a blogging schedule? I’ll have to think about it. Thanks for stopping by!